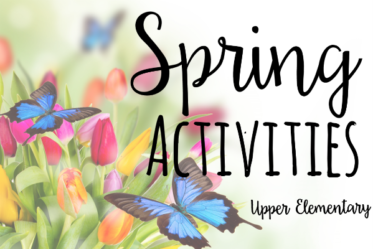 The spring and summer seasons are the perfect time to take your students out of the classroom for some outdoor learning activities. Your students will be more motivated to work before, during, and after the outdoor learning activity. Outdoor learning is also an excellent behavior motivator for when your students have spring or summer fever. 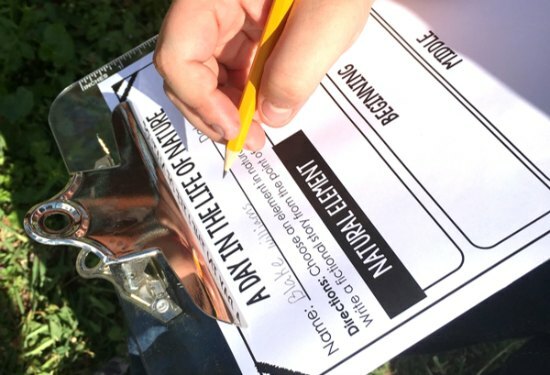 There are so many ways to take your students’ learning outside, and this post will share my ten favorite ways – with lots of free outdoor learning printable activities! Then, take this activity to the next step and have them write a fictional narrative or a personal narrative that takes place in the same area they just explored. Have them incorporate their sensory details into their writing. There are so many other writing activities that you could do. Here is another one of my students’ favorites. They choose an element of nature and write from the point of view of that element. To purchase the outdoor writing activities shown (including SIXTEEN more! ), click here to head over to my TpT shop to see my Outdoor Writing Activities resource. The writing activities come in a variety of formats to fit your needs. 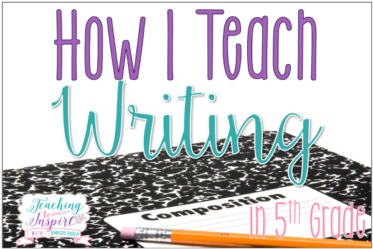 Your students will love these writing activities! When you are studying 2-D shapes or 3-D shapes, you can take your students outside to find these shapes in nature. Use a simple recording sheet like the one shown below to have them record the object, sketch the object, and then determine the 2-D shape or 3-D shape. Click here to download the Geometry Scavenger Hunt printable shown in the image and two other versions (pages 1-3 of the download). My students are definitely not too old for an egg hunt that involves review. 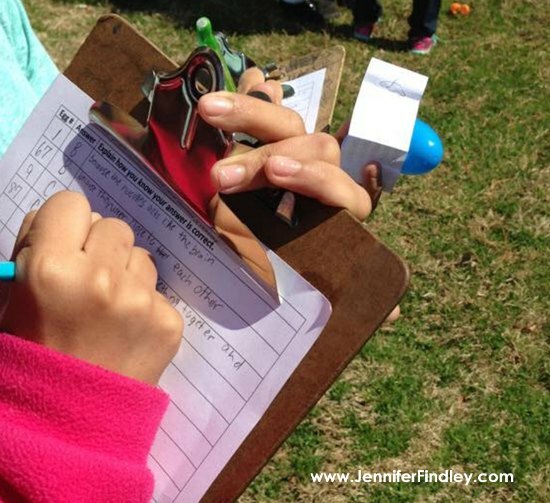 Put review questions (for any subject) inside plastic eggs for a fun outdoor learning activity that your students will love. Read more and grab a free recording sheet to have your own Review Egg Hunt on this post. 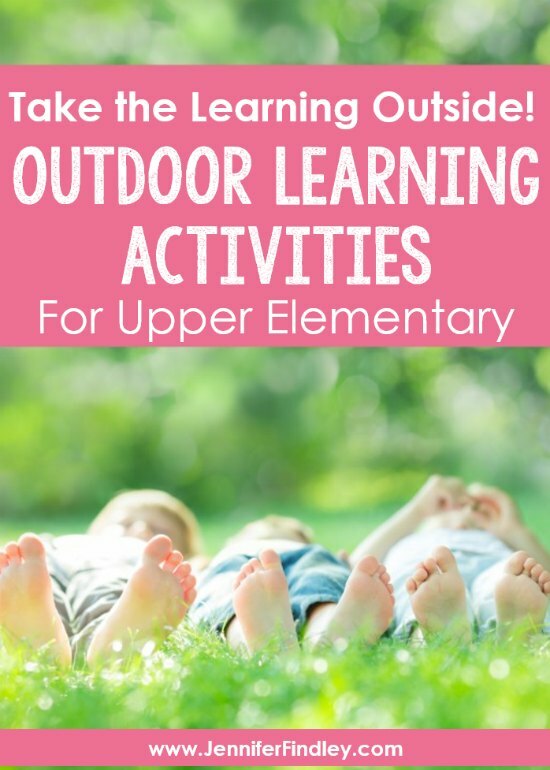 This outdoor learning activity is a perfect “advanced” activity for upper elementary students. 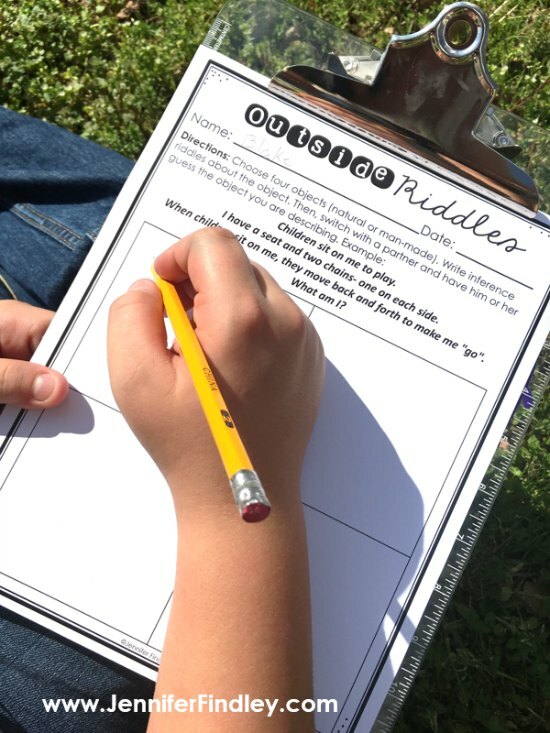 The students will choose an object that they see outside and create riddles describing the object without actually naming it. They can do several of these riddles and then trade with a partner. When they have a new paper that is not their own, they will look for clues and details to determine what object is being described. They can write what they think the object is and the evidence from the riddles that helped them make that inference. This activity is also included in the Outdoor Writing Activities resource previously mentioned. Choose a spot and then stay in the spot. Make sure you are reading, talking, or writing about reading the entire time. Super simple, but with many of my classes, it was really important that I made those expectations clear from the beginning. 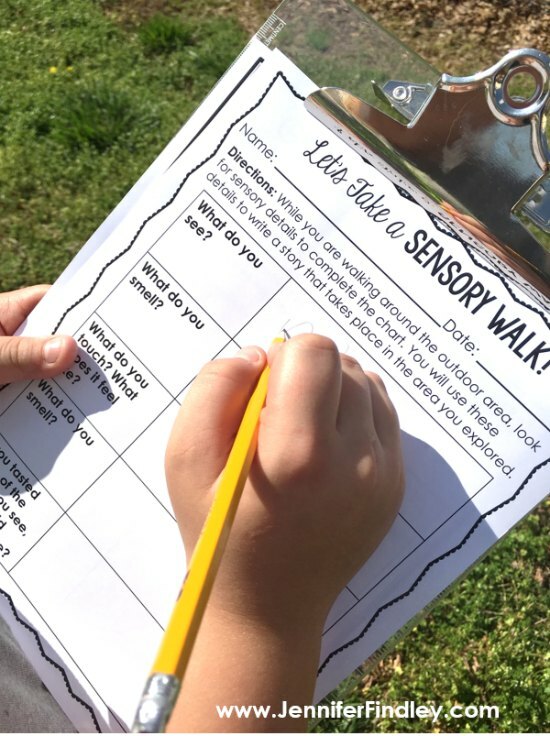 A simple outdoor activity could be having the students looking for basic parts of speech and recording them. 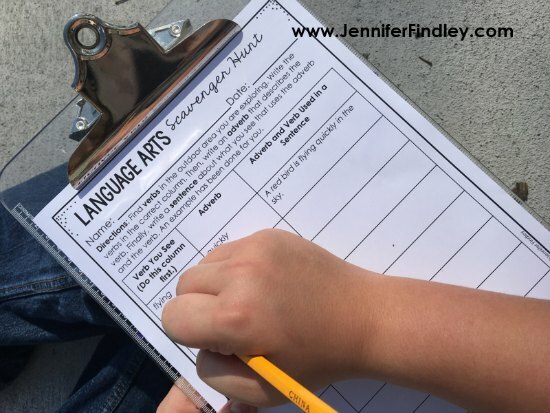 If you go to an outside area that is calm without a lot of activity, the students could find nouns and then write describing adjectives and label each. If you go to an area with action (kids playing on the playground, cars going by, etc), the students could record verbs they see with accompanying adverbs and label them accordingly. 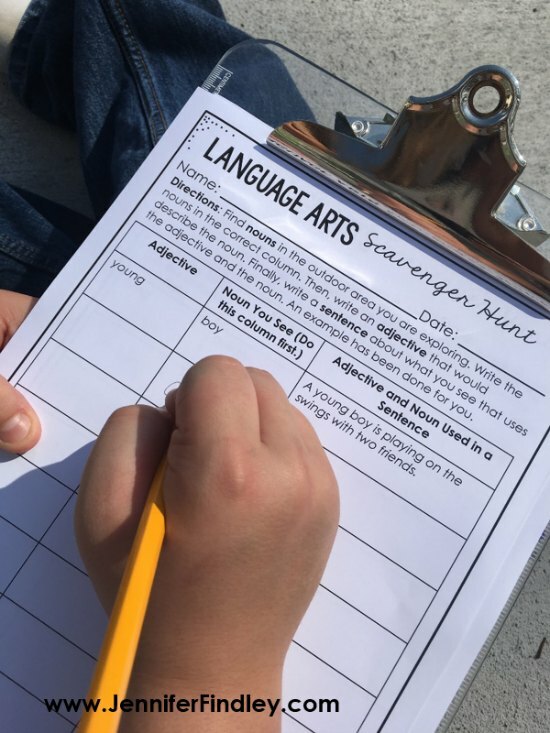 Click here to download the Language Arts Scavenger Hunt printables shown in the image (pages 4-5 of the download). “Exploding Coke and Mentos” experiement to teach the scientific method. Use sidewalk chart to create a model of the solar system on the sidewalk. Predict and test out whether items found on the playground are magnetic. Look for examples of erosion and weathering around the school. Look for evidence of the water cycle. 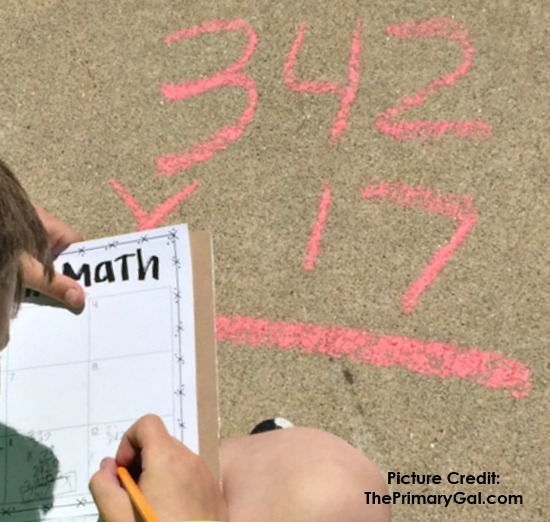 Sidewalk Scoot is a perfect outdoor learning activity for math computation. Have the students use chalk to write a math problem on pavement or a sidewalk (may have to set some perimeters so you don’t have way too easy or way too difficult problems) and have the students scoot around solving the problems. Read more about how The Primary Girl uses Sidewalk Scoot in her classroom and grab her free recording sheet here. 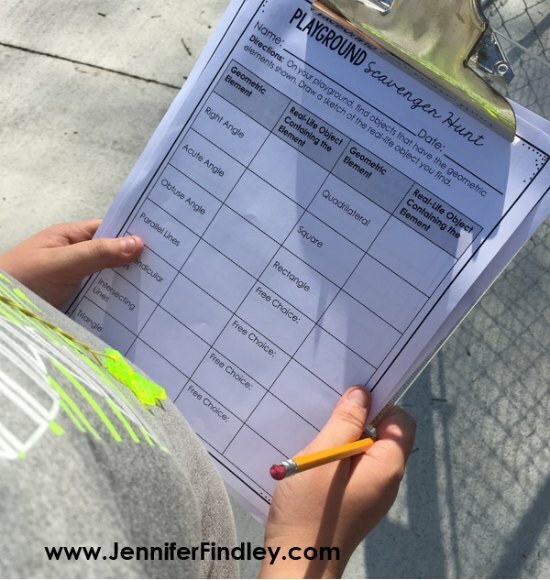 A common outdoor learning activity is having the students complete a nature scavenger hunt. The students can hunt for a specific list of objects or living things found in nature. This activity can even be adapted to match your science curriculum. If you are studying food chains, the students can look for examples of consumers, producers, and decomposers in the outside area you take your students. There are several outdoor learning activities that involve measurement. Have students find objects that they predict measure a specific amount. Then,have them measure to determine if they are correct. Using specifics in your outside area, create a measurement scavenger hunt with directions to measure specific objects. If you do any type of “body measurement,” in your instruction already, I recommend moving this to an outside area. It gives the students more room to measure and allows them to be a bit more chatty while whey measure and discuss those measurements. As you can see, there are lots of ways to take your students outside and in ways that extend their learning in virtually all subjects! Do you have any other favorite outdoor learning activities that you and your students love? Let me know in the comments! these ideas are great for this time of year thanks so much!!!! I loved on of these. I especially loved the inference one! I want to play Sidewalk Scoot! I could do that with younger kids too. Awesome. Thanks! Such great ideas! It is still rainy here in the PNW, but hopefully I’ll be able to use these soon! Thank you so much for the summer ideas. School starts next week and my classroom can be pretty hot. Thank you for some fun ideas to take my kids outside. 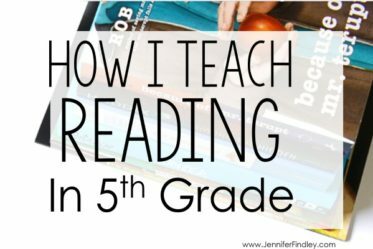 I was wondering if you read chapter books aloud and what books you used? Thank you! Thank you! I have my students create tesselations on the sidewalk with chalk the day of our fifth grade night. They love having their parents see them during the evening!